The Holiday Picture of All Time! Charles Dickens' Joyous Classic! Ebenezer Scrooge is a bitter old man. He hates Christmas, seeing no reason to share joy with anyone, including his tenants, his poor employee Bob Cratchit, or his nephew Fred who cheerfully invites him to dine. 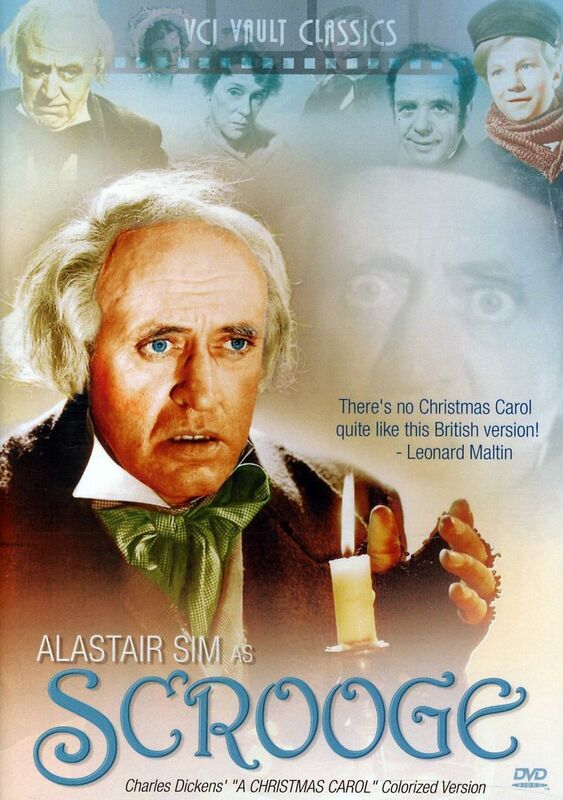 Everything changes on Christmas Eve night, when Scrooge is haunted, first by his late partner Marley and later by three spirits who show him the past, present and future. Scrooge realizes mistakes from his past, involving both business and personal decisions, have made him the miserly and lonely man he is. He sees that the Cratchits are happy though they are poor and learns that no one would mourn his passing were he to die now. He wakes on Christmas morning a changed man, vowing to keep Christmas hereafter.